izzit.org News: Current Events Start Today! Today we begin posting our daily Current Events articles and discussion questions. 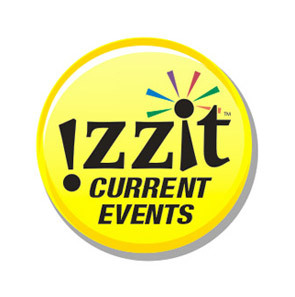 If you haven't already signed up, visit www.izzit.org/Join, where for only $3 you can have access to Current Events for an entire year. We are also now offering student access to the Current Events through our website for students of izzitPLUS members. Add that to a FREE DVD every 30 days, 50% off in our Webstore, and a bunch of additional teaching resources, and you've got yourself a great deal for only $9.95. Learn more about our different membership levels here.